Three young sailors of the Indian Navy, Akash ME I, Dhananjay SEA I, and Vishwakarma ME I, were instrumental in rescuing a man who had fallen into the sea off Marine Drive on the night of 09 September 2018. The sailors while at Marine Drive noticed a man drowning about 150 metres into the sea. The man's hands were seen flailing as he struggled to stay afloat. 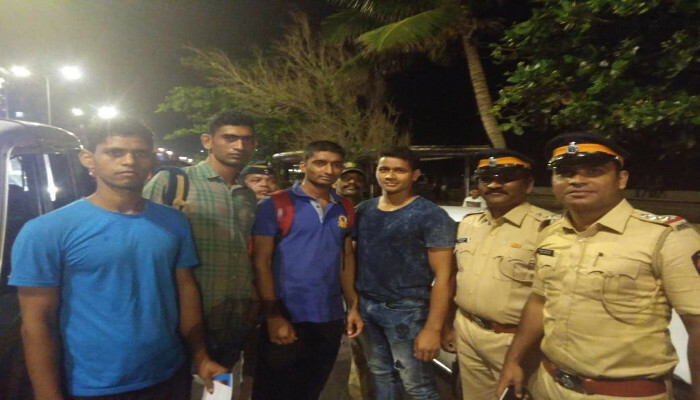 Akash, a Ship's Diver, Dhananjay, a good swimmer, and Vishwakarma, a Marine Commando, immediately jumped into the water and rescued the drowning man. They brought the man to safety and administered CPR once the man began breathing and regained consciousness, the sailors handed him over to the local police.